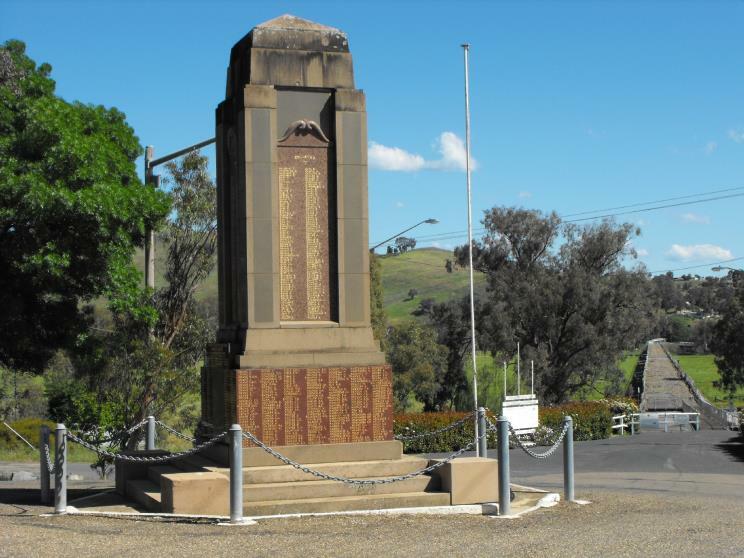 The Gundagai War Memorial that is located in the main street of Gundagai in southern NSW. 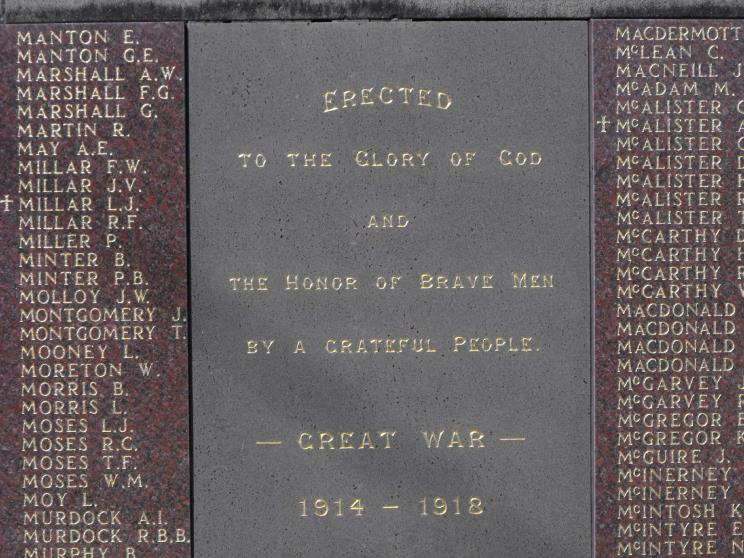 The memorial commemorates those from the surrounding district who served and died during in the Great War. The inscription of the Gundagai War Memorial.